"So, giving him chances will be really important." England and Wales are set to host the ICC 2019 World Cup and the marquee tournament is scheduled to begin on May 30. Teams like Sri Lanka and Windies are struggling to find players competent enough to bring back their glory days. On the other hand, India and England are having a problem of plenty, which is generally termed as a ‘happy headache’. A lot of experts have been providing insights on their preferred squads for the World Cup, the latest being Sourav Ganguly. The Prince of Calcutta gave his opinions regarding MS Dhoni, Vijay Shankar, and Khaleel Ahmed. But he also laid emphasis on giving the 21-year-old Rishabh Pant an opportunity in all five one-dayers of the upcoming series against Australia. “So, if these are your top four batsmen and then MS Dhoni comes with Kedar Jadhav at No.6 and Hardik Pandya at No.7. Dinesh Karthik will also be there and India should undoubtedly play Rishabh Pant in these five ODIs and play in the top-order and we can see if he is your match-winner at No.6 because Pant as a batsman can win you matches. So, giving him chances will be really important,” Ganguly said in IndiaTV’s show Cricket ki Baat on Sunday. Pant, who played two hurtling knocks of 40 and 28 runs respectively in the last two T20Is against New Zealand, can make in to India’s World Cup squad mainly on the basis of his batting prowess. 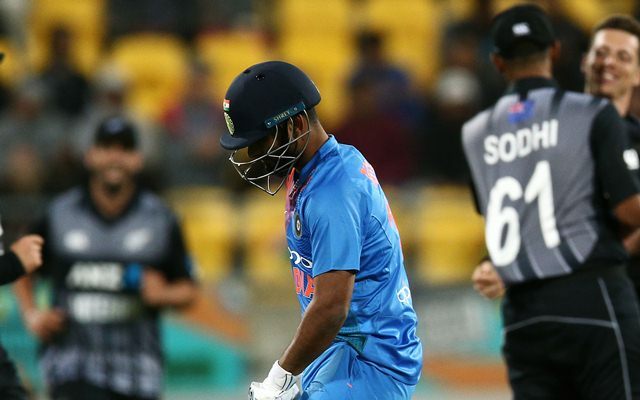 Pant has proved his mettle in red-ball cricket for India scoring centuries in both England and Australia and he has been hailed as the successor of MS Dhoni in limited-overs cricket. Earlier in the day, India’s chief selector MSK Prasad mentioned that Shankar along with Pant and the experienced Ajinkya Rahane are part of India’s World Cup plans and in contention for a spot in the 15-man squad to be selected for the mega-event. April 23 is the deadline for the submission of 15-member squads for the World Cup.